The inherit comradery that is created through the competitive environment. I am training a service dog and spend most of my extra time with my son, Kai. I also play soccer and bike. I plan on going into family law and eventually hope to specialize in helping people with disabilities. It is a practical law school with the highest bar pass rates in Texas. 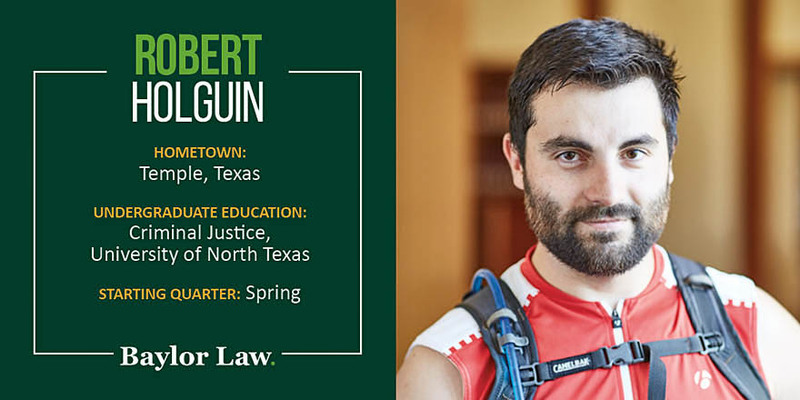 Did you have any noteworthy experiences/jobs (law-related or other) before you began at Baylor Law? I worked as a private investigator and bounty hunter for several years after my undergraduate studies.